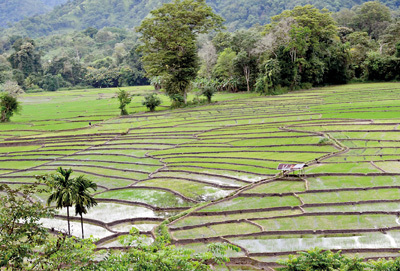 Located in the salubrious climes of the Ella Divisional Secretariat, the village of Udawadiya is steeped in history; with the village itself being the site of some famous battles against the Portugese when they attempted to ravage their country. 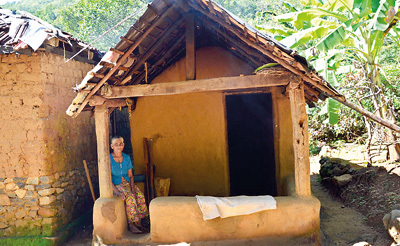 Unfortunately even today, residents of this small village snuggled in a corner of the Badulla district are still forced to use ox-drawn carts and cattle as their means of transport as there are no roads which could facilitate vehicular traffic. Though the village is blessed with natural resources, a plentiful supply of water from the Menik Ganga and is agriculturally productive, many of the families have begun to leave the area due to a lack of basic facilities as well as the fact that they are completely isolated from the rest of society. 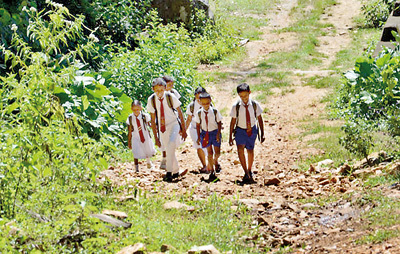 School children are forced to walk around seven to nine km to reach the nearest school! All 142 families in the village share a common surname –Ranbanda Devalage- indicating they hail from one or few of the families who originally inhabited the area. The people of Udawadiya hope, that with so many development projects planned around the country, the authorities will notice their plight and help develop their village too.